We haven't had one of our get-togethers in MUCH too long. But it's finally happening! 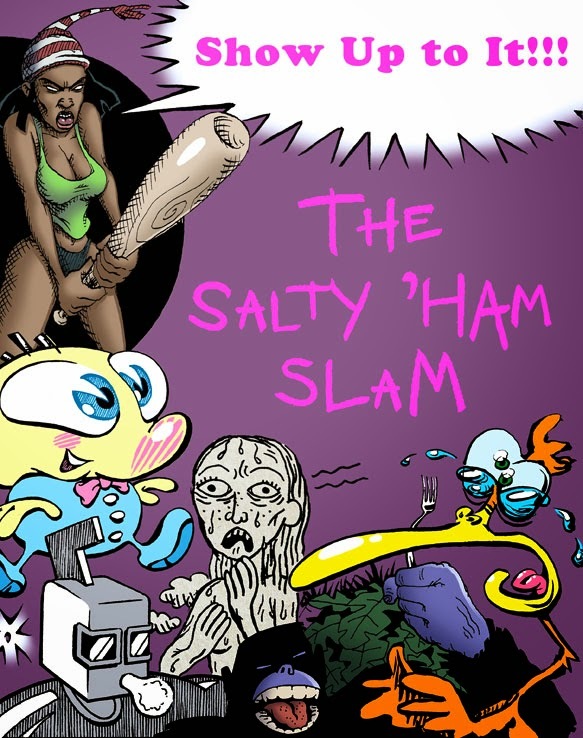 The next edition of the Salty 'Ham Slam is scheduled for Sunday, May 18th, 2014, from 1 - 4pm. This time, we'll have it at Kingdom Comics in Vestavia. This will be the lucky 13th slam. We'll discuss tools, techniques, the business, and just shoot the breeze. Bring your sketchbook or some paper, if you want to sit around drawing with the rest of us. Read about our past slams HERE.